Hi, I stated work with CS Cart product and i found that this is really something interesting and unique product for E-commerce industries. We love it and you will enjoy it for sure. Now everything is on Facebook without added daily. For each recommendation. 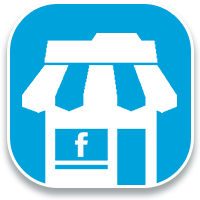 Facebook Store ADD ON is one of the best have used. This add-on is completely compatible with CS-Cart v.4.3.1, so feel free to purchase it. Please inform me if this add-on is compatible with the latest version 4.3.X of cs cart? Very nice addon ! Effortless installation. I recommend it if you want to improve your store sales. Yes, this module is compatible with CS-Cart v.4.2.x, but unfortunately, we cannot guarantee that it will work correctly with this theme. Yes, this add-on is completely compatible with CS-Cart v.4.1.5. So, please feel free to purchase it. İs that compatible with 4.1.5?